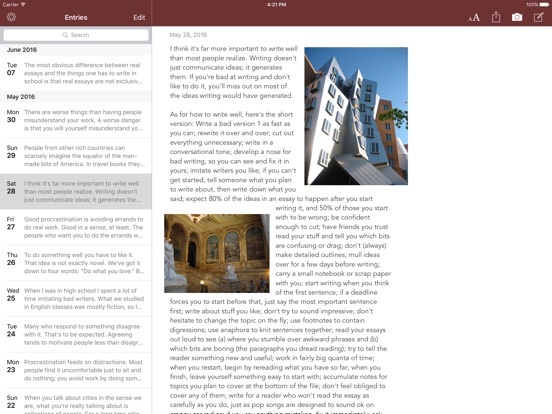 Take note of life with Chronicle, a simple journaling app that offers more than bound sheets without overcomplicating the writing experience. Focused writing. 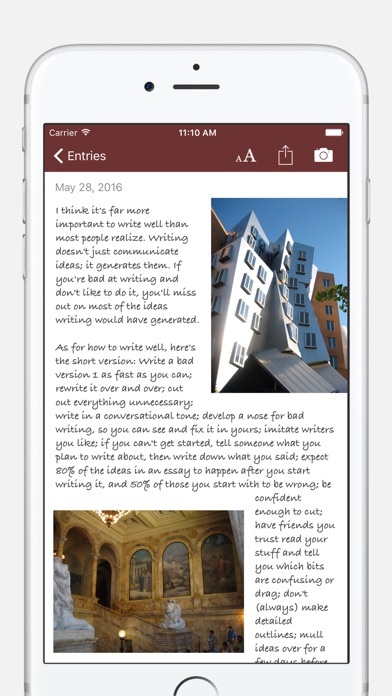 Multiple photos per entry that you can move, resize, rotate - your words flow around them. A recent New York Magazine article cites research showing people experienced improvement in "physical and mental well-being. They were happier, less depressed and less anxious" after writing about emotional or stressful events for a few days. Start writing more, today. 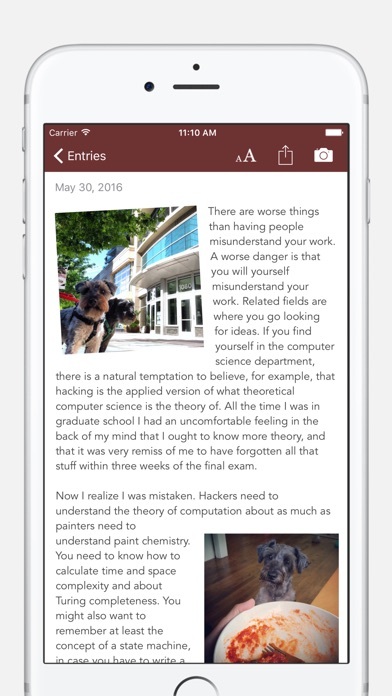 Reliable storage, autosave, and passcode lock protect your words; share or read them on your computer with PDF, text, and email export. 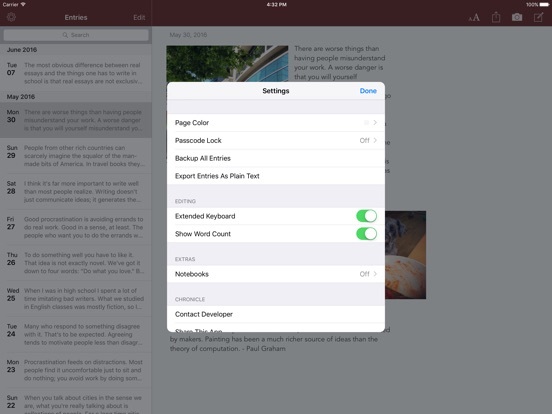 You can also create backups and save them to other apps such as Dropbox, Drive, and Evernote. 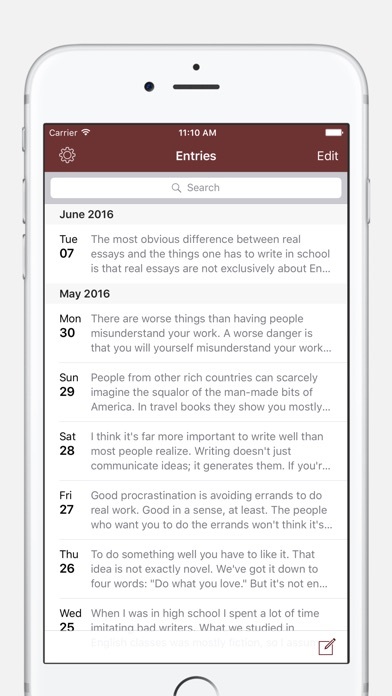 Your journal will never run out of pages, but you can manage different topics or years in separate journals with the notebooks add-on. Take a break from social networks. 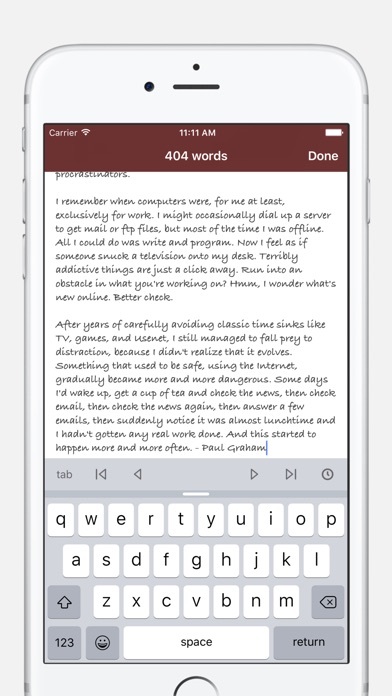 Write comfortably knowing you can find anything you wrote with built-in search. Search results include relevant snippets of text so you can easily find the exact entry you’re looking for. According to a Harvard Business School paper, taking 15 minutes to reflect on your work at end of the workday can boost job performance (the study's journaling group performed 22.8% better on a test than the control group that simply continued working). * Put photos where you want. The text wraps around them. * Resize and rotate photos. Tap for a fullscreen, zoomable version. * Quick launch. Chronicle remembers the last entry you were on. 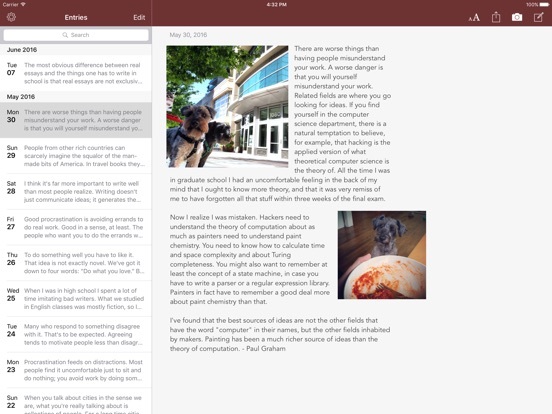 If you need a way to organize your writing, get the Notebooks add-on with in-app purchase. 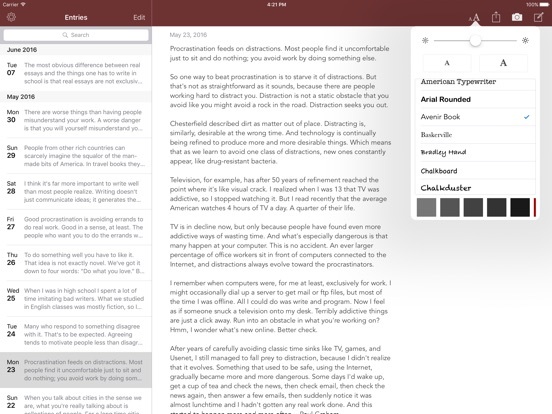 The cover is styled based on your text settings within the notebook. 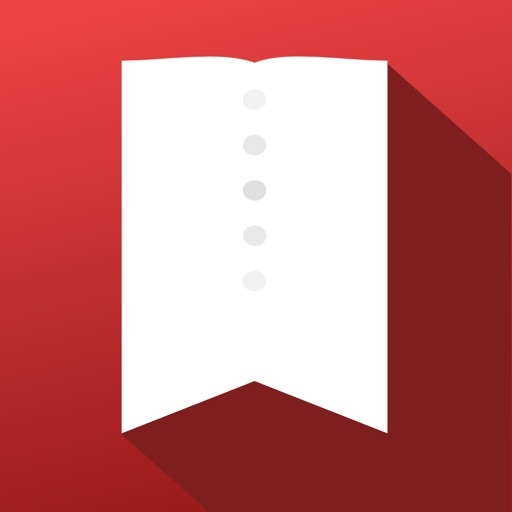 Unlimited notebooks you can drag and reorder. No need to squint. 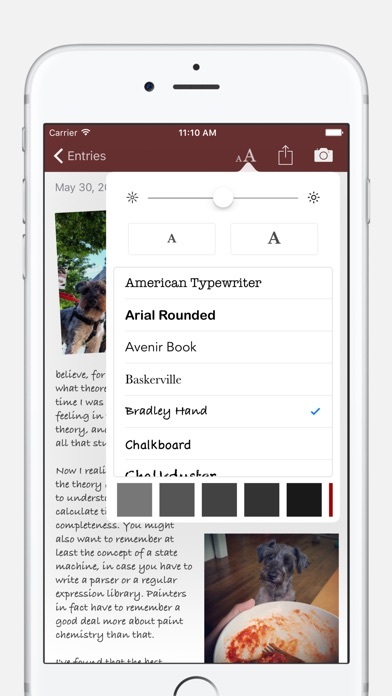 In addition to being able to adjust the journal's font size, you can change the system's Text Size from the Settings app to make the UI text in Chronicle easy to read. I've also added accessibility and VoiceOver improvements. Thank you for all of the emails with compliments and suggestions! Please consider rating the app or leaving a review. Contact me at slidetorock.com with questions / suggestions.